Include some kid created decorations around the house this holiday with this easy felt DIY Christmas wreath craft for kids! 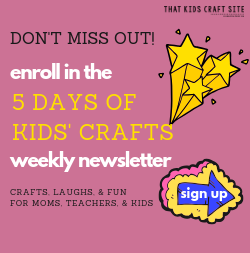 Are you ready for another awesome kid-friendly craft to do for the upcoming holiday? This fantastic holiday felt DIY wreath is the perfect activity for little ones to create a special, festive piece! Felt is such an amazing material to use for all types of crafting projects. What is felt exactly, you ask? It is essentially a piece of fabric typically made up of a combination of wool, fur, and a few synthetic materials that have been tightly woven or pressed together. Who knew?! We love to use this magical material for many reasons! We love that felt is super soft to the touch, which makes it a wonderful medium for young crafters to work with. 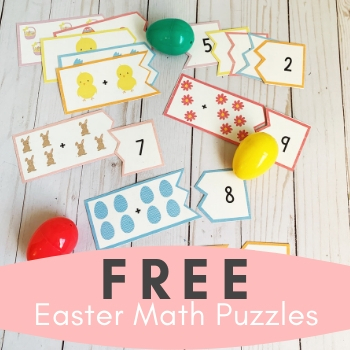 We also like that it is very versatile for use in a number of amazing projects: you can cut it, fold it, sew it, stuff it, glue it, knot it, whatever you want to do! In addition, we love that felt is available in a variety of fun colors and different styles giving us so many excellent options in one material! You can find glitter felt, wool felt, recycled felt, plush felt and more at your local craft store! 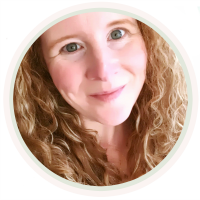 There is so much fun that can be had by using felt for your creative pieces! For this holiday felt wreath craft, we used strips of red, white, and green felt. Once we had our strips, we then tied each piece around a circle cut out from a paper plate. As you can see, all you need is a few simple items to create this quick and easy festive project! 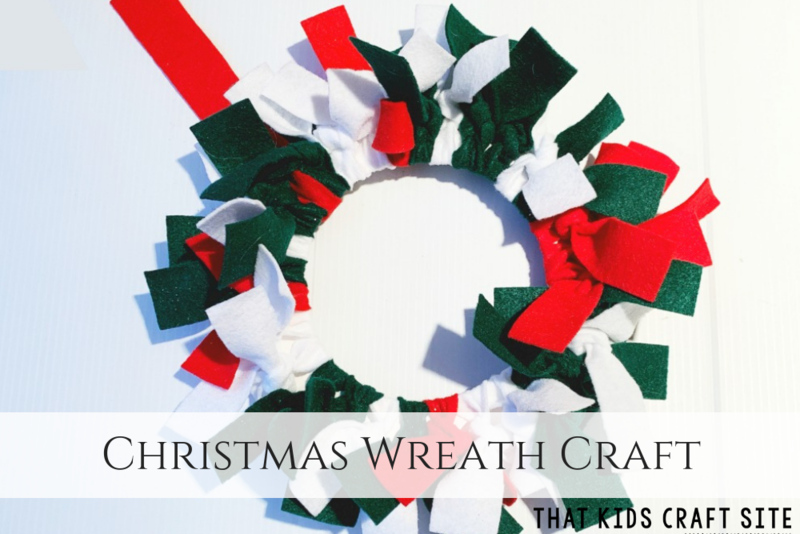 While we chose colors that are commonly used in decorations for the Christmas holiday, these kid-friendly wreaths can be made for any occasion by simply swapping out the colors. Try using red glitter felt to make a Valentine’s Day wreath. A mix of pastel felts would be great for an Easter holiday decoration. Once your holiday felt wreath is put together, proudly display it on the door, hang it on the tree, or wrap it up for the perfect handmade gift! Okay, enough already… let’s get to it! Cut 12 – 1” strips from each piece of felt (1×9” strips). It is okay if the strips are not cut exactly to size. Cut out the center of the paper plate, leaving just the outer ring (discard the center). We folded the plate half, cut out a half circle, and then opened the plate back up. Take each strip and tie it in a double knot around the outer ring of the plate. Keep going until the circle is full. You may not use all of your felt strips or you may need more. It just depends on how full you want your wreath to be. To hang, cut a small slit (like a button hole) close to each end of a leftover strip of felt. Loop the strip around the wreath, thread the one end of the strip through the opposite slit and pull through. Pull snug and hang! 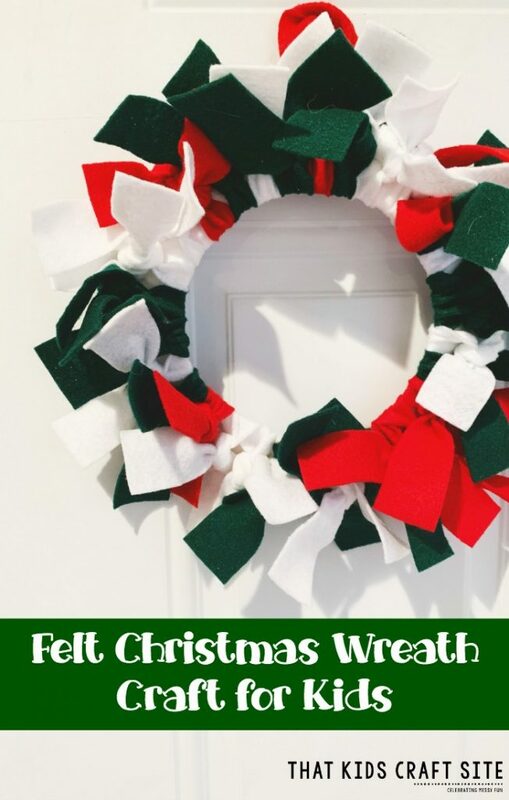 If you give it a try, we’d love to see how your DIY felt Christmas wreath turns out! Tag us on Instagram @ThatKidsCraftSite or share your picture on our Facebook page!